Once again, the polls here will overlap those in round 1C. If you have not voted in round 1C yet, here's the link. With almost half of the polls finished for round 1, Noor leads our prediction contest with 15 points and a perfect record. Wow! Bradley and Amber Lacy are tied for second with only one miss. Awesome predicting all around! Over in the wish lists, Joanna and Maria Sol must be the happiest because most of their picks have made it into round 2. Just for the record, I am dead last in the wish list which makes this contest par the course. Ha! I'm loving all the good discussion though. A special thanks to everyone who pitched topics for the mini-contest. I am extremely grateful to you. We could still use some ideas though, so keep on brainstorming. I would love to have a list of about 20 topics so we have plenty in the future too. To ensure that every has a good time, please read the rules below. Happy voting! 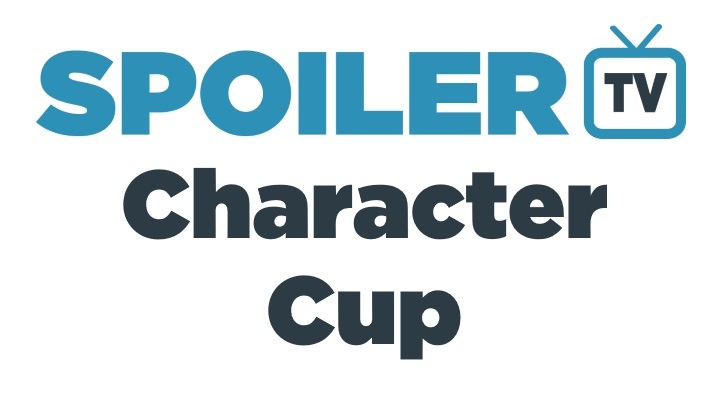 Along with the prediction contest and the TV Talk Topics, the Character Cup is also different from other contests at SpoilerTV because we do a second mini-contest once we get further in the Character Cup. Basically, I found that people were disengaging after their favorites were gone so I pick a topic and we run with it. So far, we have done Favorite TV Vehicle, Favorite Villain, and Favorite Theme Song. Before my computer crashed last summer, I had an awesome list of future topics provided by the SpoilerTV community. However, they are now lost to the abyss. So if you would like to have future mini-contests, leave some topic ideas in the comments below. I will take nominations for this year’s topic later in round 2.